This Wednesday night, the District Department of Transportation is holding a public meeting to discuss possible improvements to “Georgetown Circulation”. It will be at Georgetown Visitation at 7 pm. 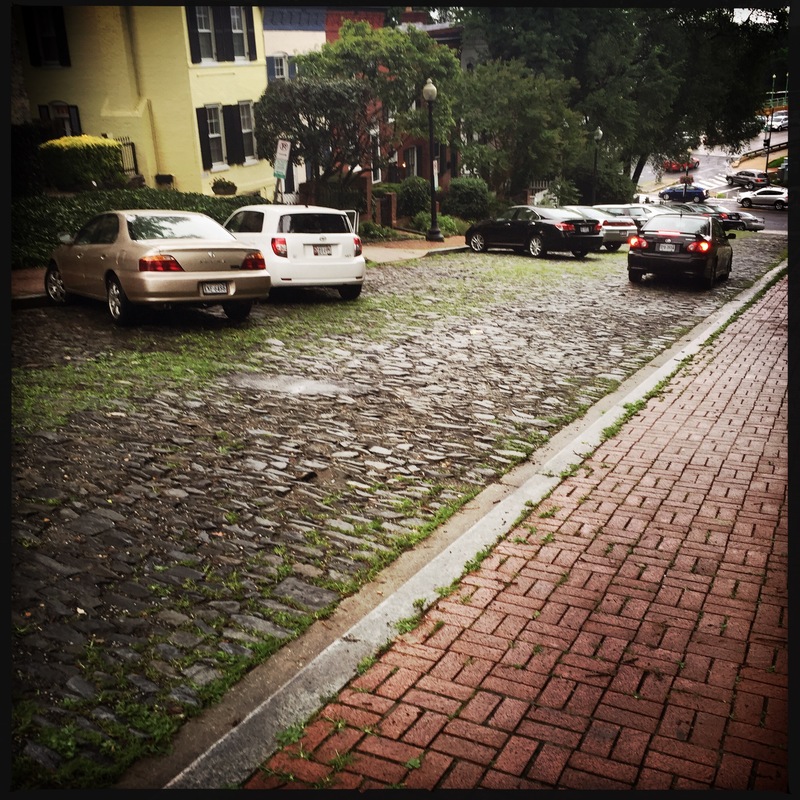 There are no shortages of ideas for improving transportation in Georgetown. But the more important thing is to decide what the problems are in the first place. If you think the primary problem is how to get cars through Georgetown faster, you’ll reach different conclusions on the solution than if you think the problem is getting people through Georgetown faster. It’s likely that solutions to the first question will simply make more room for more cars, which will happily take up the space. But solutions to the second problem (like bus priority) could improve things for more people. DDOT has done studies before, such as the one it produced ten years ago. Then there’s also 2014’s MoveDC, DDOT’s long term planning document, which had many recommendations for Georgetown as well. But neither had much impact in the real world. The biggest change actually adopted after the first study was probably the decision by DDOT to allow left turns on Wisconsin Ave. from eastbound M St. Other recommendations, like limited bus lanes on M and Wisconsin never saw the light of day (except Obama’s first inaugural!) MoveDC has made an even smaller dent in Georgetown, with the possible exception of the bike lane on Water St. (In fairness, MoveDC is by definition a much more ambitious document, including goals like building a new Metro line through Georgetown). GM has much smaller expectations for this particular round of study. If he had to guess, the most likely outcome of this will be recommendations to change some of the east Georgetown two-lane north-south streets into one direction. (Another recommendation from the old DDOT study that didn’t go anywhere). But who knows! Come on out Wednesday to see how the wind is blowing.